Yes, I am back with a bell sleeve confection. 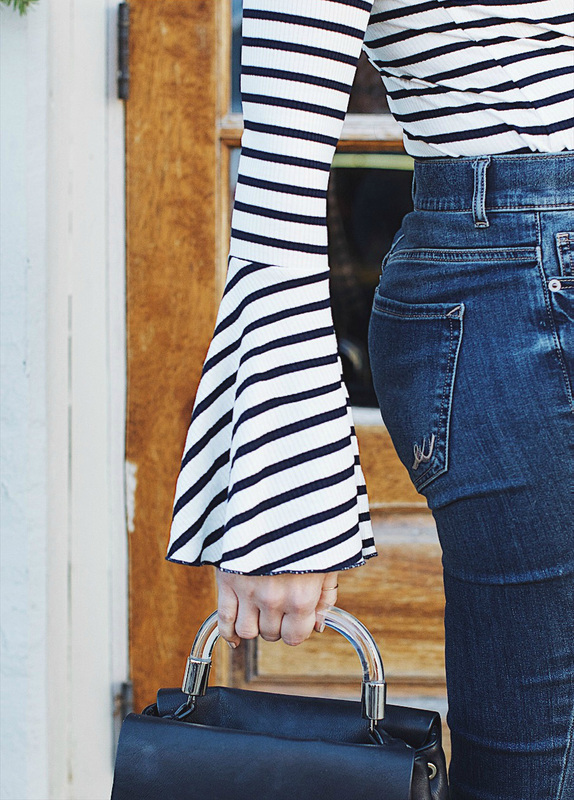 The trumpet sleeve has become such a go-to staple because of its ability to add some serious panache to my current uniform of cropped denim and kitten heels. Of course, one can layer a slip dress over a simple flare sleeve top for this holiday’s shindigs if they want to go the dressier route. Or, pair a cotton offering with a leather jacket and whatever bottom they choose for a more casual statement that adds some layers, while also keeping the look effortless. Either way, the statement sleeve is a gift that has kept on giving for several seasons, and appears to have some serious staying power for spring, as well.